Last week I brought my family to watch Jurassic World Fallen Kingdom. Who doesn't like dinosaurs right? My wife and I enjoyed it and my children loved it. 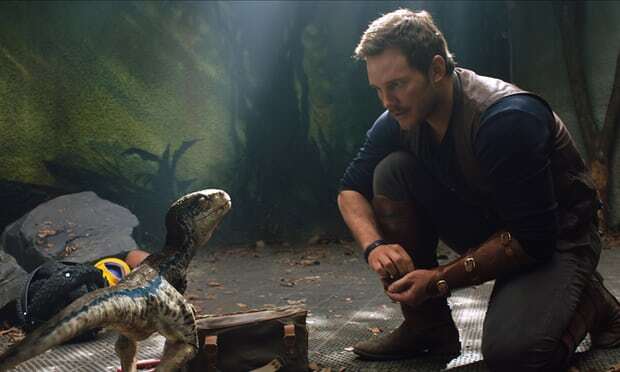 Although this is like the 5th installment of the Jurassic Park movies, this latest living fossils roaming around our current time is as fresh as the first original movie if not better. A lot of so-called professional movie critics have disregarded Fallen Kingdom, saying that it is merely another movie filled with dinosaurs but I beg to differ. 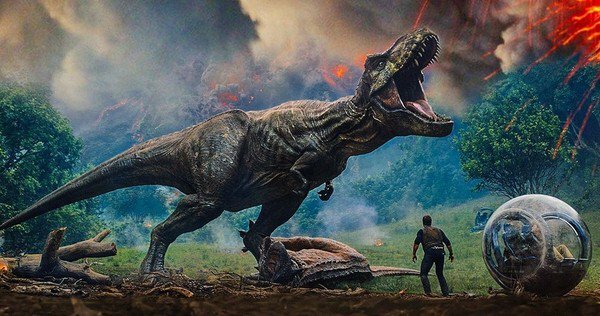 IMHO, Fallen Kingdom has shown that though it is a sequel to the Jurassic World Trilogy, it still has a lot of meat left for us to chew on the bones. The curtain is raised when two easy meat were thrown in the den of the colossal Mosasaurus. They were piloting a submarine to retrieve a highly sensitive cargo which they succeeded, only to be swallowed by the very giant lurking behind them. Later on the gates which were supposed to prevent the prehistoric oceanic monster from going out were not closed and you should know what would happen next. Due to greed, silly mistakes were made and that is what fuels the plot and the characters. The background pretty much sums up the beginning. After the end of the fist Jurassic World movie, dinosaurs ruled Isla Nublar again thanks to the chaos unleashed by Indominus Rex. 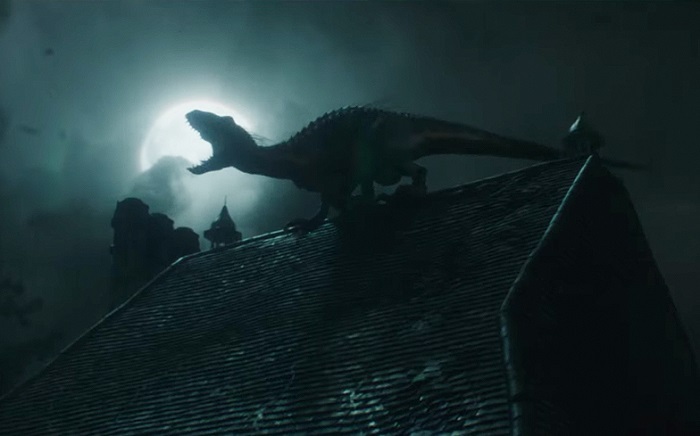 Let's recap: Indominus Rex was not bred, she was designed. That pretty much sums up how humans will screw up again in Fallen Kingdom-history repeats itself. Due to human's insatiable greed for more power, money and exotic creatures...the dinosaurs which were supposed to be extinct AGAIN on Isla Nublar were given a new lease of life...in an auction. Of course our heroes and heroines will not just sit there and do nothing right? So Owen and Claire and a few more sidekicks did what they do best-saving the dinos. Dinosaurs make you feel so tiny and helpless! Claire the T-Rex rider! You go girl! What? A dinosaur howling at the moon? I thought the whole movie was meticulously developed and beautifully shot. There was not even a single moment that I found to be worthless unlike what some critics were saying while hurling tomatoes here and there. In fact I enjoyed watching the bond between Owen and Blue which truly made up the spines of the whole movie. Her sense of empathy and trust made her so valuable that not only Owen risked his life to save her, the greedy businessmen wanted her so badly as well for her DNA. Of course Blue was one of the main protagonists as well as she proved to be the last line of defence for the humans! All in all, Fallen Kingdom will keep you on your toes all the time, anticipating where the jaws will be coming from. Besides greed, our heroes and heroines were also at their wits' end, trying to make a right decision when there were dilemmas which reflects our real-life struggles. 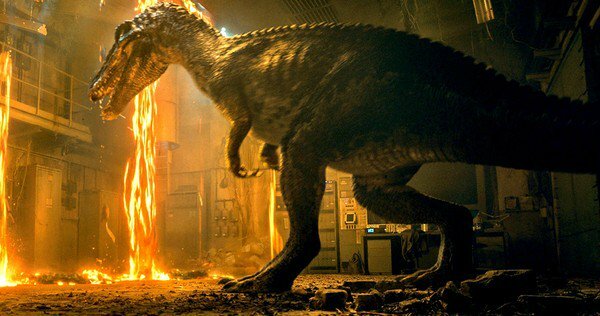 I would boldly claim that Fallen Kingdom is a good dinosaurs movie which has truly terrified, scared and inspired me at the same time. YES, it inspired me. 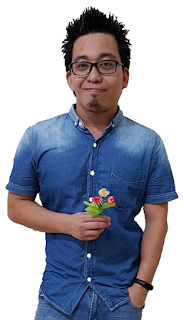 Just like in the movie, trust is something that you need to gain instead of demanding for it; And to gain trust, we must be able to first make ourselves vulnerable. It is a two-way street. Should you watch Jurassic World Fallen Kingdom? Definitely YES. Do not let the naysayers (critics) especially the so-called professional ones to dissuade you from watching this thrilling sequel. To them, everything must be ultra-logical and super scientifically proven which takes all the fun and emotions away from this movie. Final words: Fallen Kingdom is utterly an intelligent, terrifying and most importantly emotionally powerful. You should watch it on the big screen-cinema. 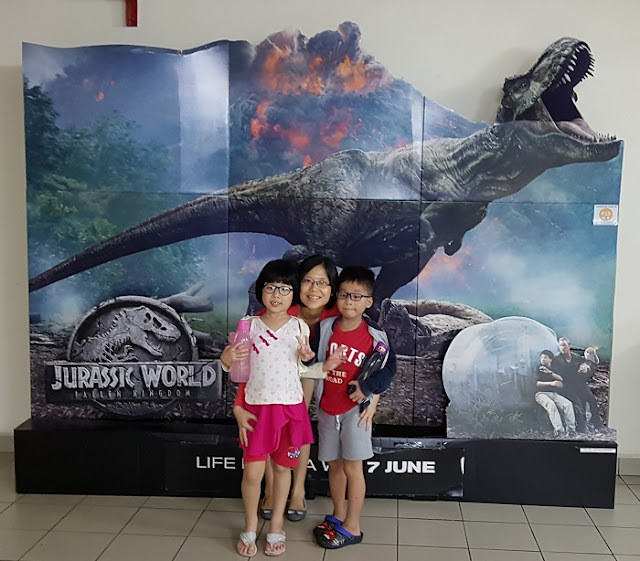 5 stars from me for Jurassic World Fallen Kingdom. Period.